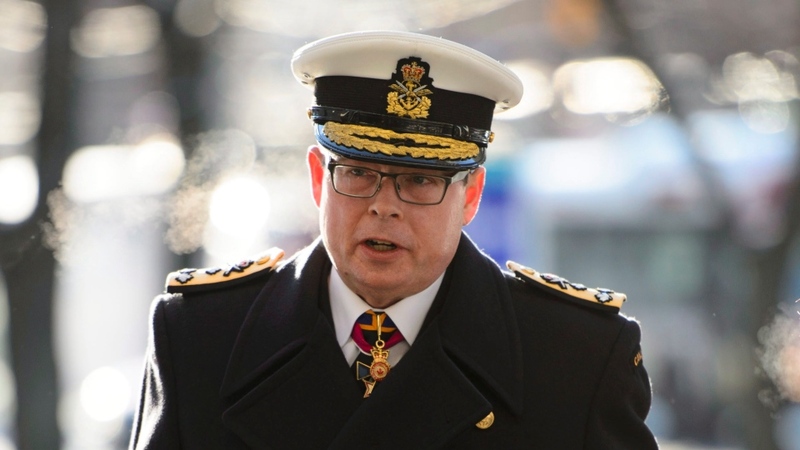 OTTAWA -- Vice-Admiral Mark Norman's lawyer has raised the prospect that government officials used several more undisclosed terms to refer to her client in internal communications and hide any paper trial. Lawyer Marie Henein hinted at the potential identifiers while questioning Defence Minister Harjit Sajjan's chief of staff Thursday about government efforts to gather thousands of documents requested by Norman's legal team. The former vice-chief of the defence staff, Canada's No. 2 military officer, is facing a breach of trust trial over allegations he leaked government secrets to a favoured shipbuilder in line for a $700-million defence contract. Norman's lawyers say they need access to the requested documents to defend their client and have accused the government of dragging its feet and cherry-picking what information has been made available to the court and public. During her questioning, Henein asked Sajjan's top aide Zita Astravas whether she had ever referred to Norman on her personal iPhone or email account as "a certain naval officer," "a certain naval fellow," or "a naval colleague." Astravas replied that she did could not recall having used such terms. She also said she could not recall having talked to anyone about delaying Norman's trial, which is scheduled to run through this year's federal election. Henein did not provide further details, including why she had asked about the phrases in the context of Astravas's personal phone or email account. Astravas testified that after being subpoenaed, she only searched her work phone and email account for records related to Norman, not her personal phone and account. She said that was in line with advice from Defence Department lawyers. Court heard several other government witnesses similarly had yet to search their personal accounts, contrary to what both Henein and Justice Canada lawyer Robert MacKinnon agreed were the instructions of the subpoenas. Henein took issue with the fact such searches were not conducted, and said the search of Astravas's personal records as well as those from her previous job in Prime Minister Justin Trudeau's office were a priority. Astravas was the person in Trudeau's office responsible for identifying and addressing potential political problems to the Liberal government shortly after it took power in late 2015 until her move to Sajjan's office in August 2017. The question of "codenames" and discussions about Norman by government officials on personal devices has figured prominently during this three-day stretch of pre-trial hearings that ended Thursday. Norman's lawyers have presented witnesses, emails and other evidence to hammer home their allegation that the deck is stacked against their client, who they say was only doing his job and is a victim of the government's political games. They have also pointed in their arguments to a list of terms and abbreviations used to identify Norman in internal Defence Department communications, after one military member testified in December that officials intentionally avoided using the vice-admiral's name. Defence chief Gen. Jonathan Vance told the court on Wednesday that officials weren't trying to hide information and that the military regularly uses the list of acronyms and other terms to refer to people in internal documents and communication. The terms referenced by Henein on Thursday, however, were not on that list. Norman was suspended as the military's second-in-command in January 2017 and charged last March with one count of breach of trust for allegedly leaking government secrets about the shipbuilding contract to Davie Shipyards of Quebec. He has denied any wrongdoing. 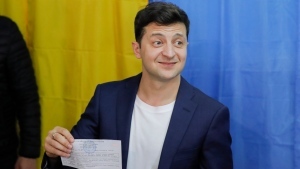 His politically charged trial is scheduled to start in August and run through much of this year's federal election campaign. Henein has previously alleged that the Liberals wanted to delay the trial. The case will return to court on Feb. 11. The Liberal government refused to discuss the case during question period on Thursday after Conservative MP Leona Alleslev asked whether anyone in the Trudeau's office had discussed trying to delay the trial. "Members are expected to refrain from discussing matters before the courts or under judicial consideration in order to protect those involved in the court action or judicial inquiry against any undue influence through the discussion of the case," Public Safety Minister Ralph Goodale said.